The Children’s Place Canada has prepared a special sale offer! Possible to save between 50% and 70% from retail prices. Plus, get a free shipping on all orders. 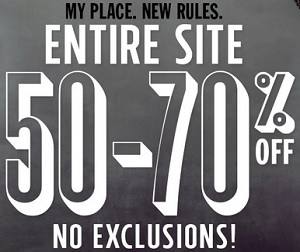 Offer is valid on selected styles, online and ends 07/29/2015. Official source of the information is The Children’s Place. For more information about the promotion visit the official website.